In 1977, chemists Theodore L. Brown and H. Eugene LeMay (joined in subsequent editions by Bruce Bursten and Julia Burdge) published a general chemistry textbook titled Chemistry: The Central Science. Since that time, the label the central science has become more and more associated with chemistry above all other sciences. Why? Follow along, if you will. Science is grounded, first and foremost, in mathematics. Math is the language of science. Any study of true science must use math as an inescapable tool. The most fundamental science is physics, the study of matter and energy. (For the sake of argument, I include astronomy as part of physics.) Then we progress to the study of the description of matter and how that description can change—that’s chemistry. As this point, however, several directions are possible. Do you want to study the chemistry of living things? That’s biology. The chemistry of the earth? That’s geology. The chemistry of how compounds work in our body? That’s pharmacology. The application of chemistry to better our lives? That’s engineering (chemical engineering, to be more specific, but we’ve just opened the door to the applied sciences). Granted, there are connections between more fundamental sciences and others—geophysics, astrobiology, and so forth—but a map of the sciences and their interconnections shows the most obvious branches after chemistry. This is why we consider chemistry the central science. This concept is reinforced by the fact that many science majors require a course or two of chemistry as part of their curriculum (indeed, perhaps this is the reason you are using this textbook). Do you want to study biology? You’ll need some chemistry courses. Are you a geology major? You’ll need to know some chemistry. Many engineering disciplines, not just chemical engineering, require some background in chemistry as well. The reason that chemistry is required by so many other disciplines is that it is, to overuse the word, central. Chemistry is not just central; it’s all around you. You participate in chemistry every day. This idea is one of the major themes in this book—Introductory Chemistry. Chemistry is all around you, and you practice it every day whether you know it or not. Throughout these chapters, I will attempt to convince you that you play with chemicals every day, perform chemistry every day, and depend on chemistry every day. This is what makes chemistry an integral part, and what should make chemistry an integral part, of the modern literate adult. The goal of this textbook is not to make you an expert. True expertise in any field is a years-long endeavor. 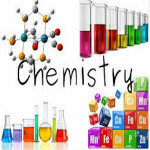 Here I will survey some of the basic topics of chemistry. This survey should give you enough knowledge to appreciate the impact of chemistry in everyday life and, if necessary, prepare you for additional instruction in chemistry. The text starts with an introduction to chemistry. Some users might find this a throwaway chapter, but I urge you to look it over. Many people—even scientists—do not know what science really is, and we all can benefit if we learn what science is and, importantly, what science is not. Chemistry, like all sciences, is inherently quantitative, so Chapter 2 "Measurements" discusses measurements and the conventions for expressing them. Yes, chemistry has conventions and arbitrarily adopted, agreed-on standards against which everything is expressed. Students are sometimes dismayed to learn that a hard science like chemistry has arbitrary standards. But then, all fields have their arbitrary standards that experts in that field must master if they are to be considered “experts.” Chemistry, like other sciences, is no different. Chemistry is based on atoms, so that concept comes next. Atoms make molecules, another important topic in chemistry. But atoms and molecules can change—a fundamental concept in chemistry. Therefore, unlike some other competing texts, I introduce chemical change early. Chemistry is little without the concept of chemical change, so I deem it important to introduce the concept as early as possible. Quantity is also important in chemistry—I’m being repetitious. After chemical change comes a discussion of the unit of chemical change, the mole, and how it is used to relate chemicals to each other (a process known as stoichiometry). A discussion of the gas phase comes next—again earlier than in other texts. It is important for students to understand that we can model the physical properties of a phase of matter. Models are a crucial part of science, so reinforcing that idea earlier rather than later gives students a general understanding that they can apply to later material. Energy is also an important topic in chemistry, so now that atoms and molecules, chemical reactions, and stoichiometry have been introduced, I include energy as a quantitative property. With this, the basic topics of chemistry are introduced; the remaining chapters discuss either more applied topics or topics less crucial to their survey of knowledge even if they are fundamental to our understanding: electronic structure, bonding, phases, solutions, acids and bases, chemical equilibrium, oxidation and reduction, and nuclear chemistry. I finish the text with a quick introduction to organic chemistry, if only to whet the appetites of those who thirst to know more. Throughout each chapter, I present two features that reinforce the theme of the textbook—that chemistry is all around you. The first is a feature titled, appropriately, “Chemistry Is Everywhere.” These features examine a topic of the chapter and demonstrate how this topic shows up in everyday life. In Chapter 1 "What Is Chemistry? ", “Chemistry Is Everywhere” focuses on the personal hygiene products that you may use every morning: toothpaste, soap, and shampoo, among others. These products are chemicals, aren’t they? Ever wonder about the chemical reactions that they undergo to give you clean and healthy teeth or shiny hair? I will explore some of these chemical reactions in future chapters. But this feature makes it clear that chemistry is, indeed, everywhere. The other feature focuses on chemistry that you likely indulge in every day: eating and drinking. In the “Food and Drink App,” I discuss how the chemistry of the chapter applies to things that you eat and drink every day. Carbonated beverages depend on the behavior of gases, foods contain acids and bases, and we actually eat certain rocks. (Can you guess which rocks without looking ahead?) Cooking, eating, drinking, and metabolism—we are involved with all these chemical processes all the time. These two features allow us to see the things we interact with every day in a new light—as chemistry. Each section starts with one or more Learning Objectives, which are the main points of the section. Key Takeaways, which review the main points, end each section. Each chapter is full of examples to illustrate the key points, and each example is followed by a similar Test Yourself exercise to see if a student understands the concept. Each section ends with its own set of paired exercises to practice the material from that section, and each chapter ends with Additional Exercises that are more challenging or require multiple steps or skills to answer. The mathematical problems in this text have been treated in one of two ways: either as a conversion-factor problem or as a formula problem. It is generally recognized that consistency in problem solving is a positive pedagogical tool. Students and instructors may have different ways to work problems mathematically, and if it is mathematically consistent, the same answer will result. However, I have found it better to approach mathematical exercises in a consistent fashion, without (horrors!) cutesy shortcuts. Such shortcuts may be useful for one type of problem, but if students do not do a problem correctly, they are clueless as to why they went wrong. Having two basic mathematical approaches (converting and formulas) allows the text to focus on the logic of the approach, not the tricks of a shortcut. Inundations of unnecessary data, such as the densities of materials, are minimized for two reasons. First, they contribute nothing to understanding the concepts. Second, as an introductory textbook, this book focuses on the concepts and does not serve as a reference of data. There are other well-known sources of endless data should students need them. Good luck, and good chemistry, to you all!